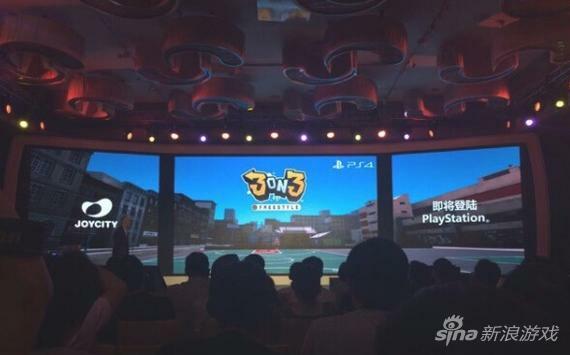 South Korean developer JoyCity has announced this week that they’re bringing a brand new title, “3on3 Street Basketball” to PlayStation 4 using Epic’s Unreal Engine 4. The developer is known mainly for their development on PC and mobile so this will be their first entry into the console game market. Joycity have been developing basketball games for a long time starting with “Freestyle Street Basketball” for PC back in 2004. The second version of the game was recently released for PC in the West and can be downloaded on STEAM. Their current FreeStyle basketball title is described as a fast paced, arcade styled representation of half court streetball, It’s self-described as being Hip-Hoop. In the game players team up with one another to challenge other online players to matches of basketball that are characterized by high tempo, freedom of movement, and a premium placed on synergy and teamwork. 3on3 Street Basketball will be an evolution of this game but so far we don’t know exactly what will be different. Joycity have said they’ll be taking advantage of Unreal Engine 4 to improve graphics for the console version and to improve the physicality of gameplay. It’s great to see smaller developers bring their IP to console and I can’t wait to see what 3on3 Street Basketball will be like. The game will be released globally in the first half of 2016 and is expected to have full multiplayer integration.